While we recently pointed out your first career steps into data, the role of workforces with data literacy has become vastly more important in recent years. Our connected world continues to produce a staggering volume of data that is immensely valuable, but also increasingly challenging to measure, analyze, and transform into actionable insight. Skilled Data Scientists who are able to build machine learning models, run data pipelines, design experiments and recommendation engines, communicate effectively to stakeholders, and deploy data applications, are in high demand across industries as diverse as agriculture, conservation, education, finance, healthcare, social services, and transportation. The business of life and work today transcends borders. In the blink of an eye, communications are sent from one side of the globe to another. Millions of transactions happen every second, between people and companies separated by entire continents. Recent estimates suggest there will be more than 75 billion connected devices by the year 2025. Technology has gathered us into a single global community. But with this connectivity come challenges. To do good in the world, we must understand the world. And to understand a world that runs on data, we need skilled translators who can transform the numbers into ideas, actions, and objective truth. The opportunity to leverage data in the service of progress has never been greater, but the challenge of doing so has never seemed more immense. This is why LinkedIn put skills like “Statistical Analysis and Data Mining” and “Data Presentation” on their list of Top 10 Skills Companies Need Most in 2018, and why our partners at IBM are predicting that demand for Data Scientists will surge nearly 30% in just the next two years. What is needed is a new generation of Data Scientists—uniquely qualified individuals armed with deeper skills in machine learning, who can turn data into action, and power organizations worldwide to be more efficient, more effective, and more impactful. Starting today, this new generation of Data Scientists can master the necessary skills in the Udacity Data Scientist Nanodegree program. Bertelsmann: Bertelsmann subsidiary Arvato Financial Services provided a massive dataset for a marketing project focused on customer segmentation, and are eager to explore hiring top performers in the program. Figure Eight: Our partner provided a dataset for students to analyze emergency text messages and classify them using natural language processing. This project comes from the CTO's field work using machine learning to improve relief efforts for major natural disasters. IBM: Drawing from a dataset of user behavior on IBM’s data science community platform, students can use the IBM Watson platform to build a recommendation engine that personalizes article, dataset, and tutorial suggestions. Throughout the program, students will have the unique opportunity to engage with Udacity Experts-in-Residence. Our experts are an elite group of data scientist practitioners working at some of the most innovative organizations in the world. Every day new Udacity graduates take on exciting roles in the world of data. Sohrab Rahimi is now a Senior Data Scientist at McKinsey & Company. Laura Ni works as a Data Analyst at Apple. Binjie Lai is a Data Science Manager at Adobe. Byron Kiriibwa is now a Business Analyst at Amazon. Ephrem Kidanemariam works as a Data Engineer and Administrator at Starbucks. These students are all making extraordinary strides in their careers. We look forward to celebrating the next generation of graduates as they emerge from the Data Scientist Nanodegree program to make their marks in the world. Make sure to get inspired by Udacity students' stories who took the same path of a career change. Enrollment is now open for the Udacity Data Scientist Nanodegree program, and the classroom will open on June 5, 2018. The program is comprised of two terms. The first term is three months long, with a tuition cost of €799. The second term is four months long, with a cost €999. Term One is a prerequisite for Term Two. Term One is Machine Learning for Data Scientists. Across three sections, students focus on Supervised Learning, Deep Learning, and Unsupervised Learning. Featured projects include using Kaggle to build an algorithm for identifying charity donors, and creating an image classifier. Term Two is Applied Data Science, and the focus is on solving problems with data science, as well as software and data engineering. As a capstone project, students build their own data science portfolio project. The Data Scientist Nanodegree program is for students who possess strong programming and data analysis skills, and is positioned as the next step for graduates of the Data Analyst Nanodegree program. Those interested in advanced analytics without programming are encouraged to consider the Predictive Analytics Nanodegree program, and beginners are invited to explore our Data Foundations Nanodegree program. The new Udacity Data Scientist Nanodegree program offers a world-class learning experience designed to advance your data science career. Enroll today! The world is waiting for you. ° This data was gathered from self-reported survey with no independent verification performed for a period from 2015 to 2018. We did not qualify the data by geography and this represents a small sample of Udacity students. 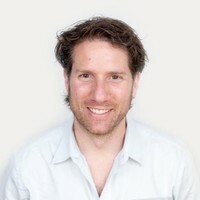 Christian Plagemann is VP, Content and Learning Products, at Udacity. Previously, he co-founded the Virtual Reality team at Google, and was the engineering manager responsible for Google Cardboard and the Daydream VR platform. Prior to Google, Christian worked on the autonomous car at the Artificial Intelligence Lab of Stanford University. He co-founded the 3D Vision Lab and Numovis Inc., a tech startup focused on motion tracking and computer vision for user interaction.